A study from the Netherlands has just been published 1 which continues to pile up the evidence that plant-based diets help to prevent diabetes, while animal-based diets do quite the opposite. The researchers start from the suggestion that vegan/vegetarian diets are claimed as being useful in reducing the risk of type 2 diabetes (T2D). But they consider that not enough is still not known about whether replacing an animal-based with a plant-based diet may be beneficial for prevention of T2D. 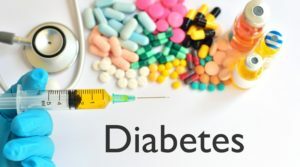 To establish this, they looked at data from the original 1991 prospective cohort Rotterdam Study 2 as well as from the subsequent follow-ups 3 and investigated whether: “…levels of adherence to a diet high in plant-based foods and low in animal-based foods is associated with insulin resistance, prediabetes, and T2D“. There were 6798 participants in this prospective population-based cohort study in the Netherlands. They collected dietary intake data via questionnaires. Information on insulin resistance was derived from homeostasis models (HOMA-IR), and both prediabetes and T2D data were collected from general practitioners’ records, pharmacies’ databases, and from follow-up examinations in their research centre until 2012. During the 5.7 and 7.3 years of follow-up, they documented 928 prediabetes cases and 642 T2D cases. 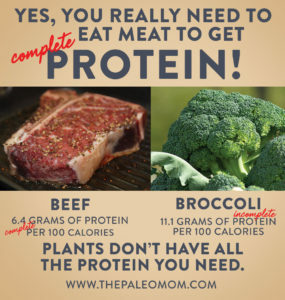 In addition, they consider that their findings strengthen recent dietary recommendations for populations to adopt a more plant-based diet. Although we’ve already looked at aspects of diabetes in relation to diet 4 5 , I think it’s always worth mentioning new research in this area as it appears – invariably, it seems, appearing to be in favour of the plant-based and against meat-based diets. And this isn’t just a matter of what you see – it’s also what you don’t see: you don’t see research stating the opposite!